The best SD Cards for Chromebook will help users who need more than the standard size of small Chromebook hard drives. SD cards are one of the simplest ways to add external storage to a Chromebook. Other ways to have more storage are a Chromebook compatible external hard drive or a Chromebook USB Flash Drive. The advantage of using an SD Card or MicroSD card on a Chromebook is that they will not stick out and make storing a Chromebook harder. The downside is that moving files from an SD Card or MicroSD card is slightly slower than USB options (particularly USB 3.0 options). Some of the best SD and MicroSD Cards for Chromebook are outlined below. Users who find themselves needing more storage on their Chromebook should check them out! 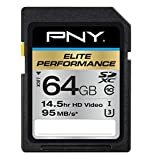 What’s a good SD card to expand Chromebook storage? There are many recommended SD cards or even MicroSD cards for Chromebooks. Ideally, you should purchase a Class 10 SD Card because this will allow you to achieve the best file transfer speeds. Class 10 indicates a data transfer rate of 10 MB/s and will allow you to use the SD Card’s memory almost as seamlessly as you use the SSD on your Chromebook. Another tip after getting an SD card for your Chromebook is to set your download folder to the SD Card on ChromeOS. This will make it easy to use all the storage that you have. If you’re downloading a larger file, save it to your SD card instead of the Chromebook’s hard drive. If you’re downloading a file that would wind up in your Google Drive cloud storage, save it there. If you’re download a temporary file, save it in the local Downloads folder (and delete it when finished). This is great way to use an SD card on a Chromebook. More information on using SD cards on a Chromebook. 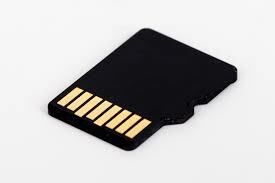 Full-size SD card is the biggest or largest SD card. This is typically the most common type of SD Card you will see for sale. Physically it is largest SD card, some of the Chromebook supports full-size SD card, while some of them are not. It always depends on your Chromebook’s model number and manufacturer. MicroSD is much more common on smartphones, but some Chromebooks support MicroSD cards without an adapter. The SanDisk Extreme Plus SD card was rated the best by many different tech magazine. With pro models by Lexar, PNY and Samsung also performing well, this is still the best SD card for a Chromebook. Prices are around US$28-38 for a 32 GB SD card. They don’t stick out beyond the edge of the card reader slot, so you can easily tuck your Chromebook into its 13.3″ protective sleeve or whatever you have. This Flash drive ranges in size from 16GB to 512GB of storage for your Chromebook. The cards are engineered to perform dependably in extreme conditions, enabling pros to get the most out of their advanced digital cameras and camcorders. This a little bit cheaper than the SanDisk but is an excellent SD card for Chromebook. There is a Read/Write speed up to 30MB/s, speed of 10MB/s is guaranteed. To improve post production efficiency, maximize the transfer rate by pairing the SDHC card with Transcend’s USB 3.0 RDF8 Card Reader to achieve a speed of up to 22MB/s. This is another affordable Chromebook Compatible SD cards that most users will find useful. It has pp to 95MB/sec speed for the ultimate transfer rates. Fast speed performance minimizes time spent transferring photos and video to your computer; Stores approximately 22,756 photos so you can shoot more shots with fewer downloads to your computer or allow you to put more photos on your Chromebook. This SD Card for Chromebooks is offered in storage capacities from 32GB to 512GB. MicroSD cards for Chromebooks are slightly smaller than standard SD Cards. One advantage to using a MicroSD card is that many phones use the same MicroSD card technology. You will want to make sure your Chromebook supports MicroSD cards or get a MicroSD card adapter. Again, SanDisk makes one of the best MicroSD cards for Chromebooks. You will get 90MB/s data transfer speed and it has the capacity to store 20 hours of HD videos with 1920×1080 resolution. This MicroSD is Chromebook compatible and will also work with many phones that support MicroSD. Plus, the SanDisk comes with an adapter since not all Chromebooks have MicroSD card slots. In addition to Chromebook, it is ideal for premium Android based smartphones and tablets. Fast transfer speeds of up to 80MB/s. Designed for use with your tablet, sports camcorder, or smartphone, Lexar High-Performance 300x microSDHC/ microSDXC UHS-I cards make it easy to add storage to your Chromebook. Easily transfer files with included adapter. MicroSD Cards also include an SD adapter to easily transfer files between your devices. There is a a good argument that using a USB 3.0 flash drive is faster than using an SD or MicroSD Card for storage. USB flash drives are supposed to be slightly faster, but most of them stick out too far and are likely to get bent and broken. The Ultra Fit (http://www.sandisk.com/products/usb/drives/ultra-fit3/) from SanDisk is very low profile, and can be left in permanently with no ill effects, but it’s not very fast for a USB 3 device. “Not very fast” is relative. Most Chromebook users probably will not notice the difference between a USB 3.0 Flashdrive and a MicroSD or SD Card for Chromebook. The exception is if you are using your Chromebook for video editing, which most people are probably not.